An icon of 90s gaming is making a late comeback. After the success of the NES Classic, which was released last year, Nintendo is preparing to release its SNES Classic in the United States, UK and Japan later this month. It also comes with several unreleased games developed by Nintendo in the early 1990s, such as Star Fox 2. The game, which was held back from release upon completion, never received an official release from Nintendo. In other words, it’s a who’s who of classic Nintendo games that includes some of the most highly rated games from the early 1990s. Since the SNES Classic is designed for HDTVs, many of the classic games can be played without the usual display and compatibility issues. As you’d expect, control is provided by a pair of wired SNES controllers that mimic the design of the classic early 90s control pads. Unlike the original SNES, there are no cartridges — this time, games are managed from the console’s built-in home menu. 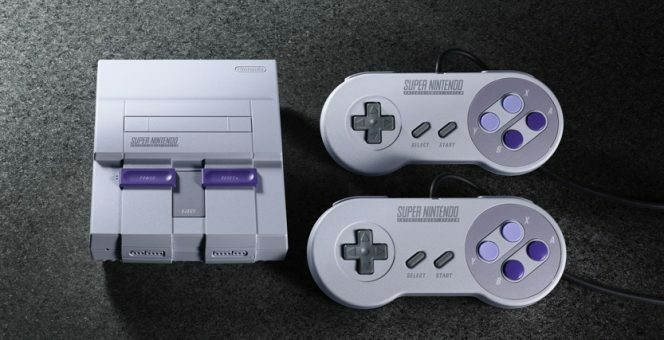 Whether you’re a younger gamer looking to catch up on classic 90s games or an older gamer in the mood for a nostalgic trip down memory lane, the SNES Classic definitely deserves a place on your “to buy” list.